Parents tend to be over protective of their children. Fatigue is a by-product to that constant worry and can leave you entirely deranged. Between their wish to play around with kids and making time out for themselves, usually the latter always gets defeated. If you have been a hiker before, it can be little difficult for you to cooing inside house for a long time. But even if you haven’t been one and some alone time seems to be long overdue, you can give a shot to hiking. Newborns: Hike is not for 1 month old baby. Not just the weather can be harsh for them, jostling from walking on the rough terrain is also uncomforting. With the baby you too should give yourself sometime to nestle inside house, putting a pause on your hiking days. 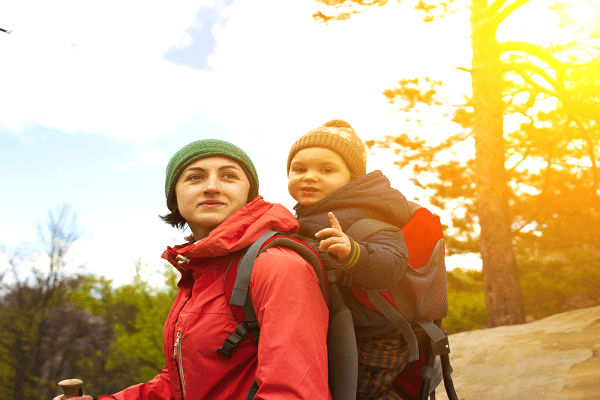 1 to 5 months olds: Babies aging from 1 to 5 months can go for a hike. It’s the duration you need to compromise with a little bit. Older babies may enjoy tugging along in the front carrier not long before they start throwing tantrums and get cranky. 6 to 14 months olds: By this age range your child is going to weigh a bit more than prior times. 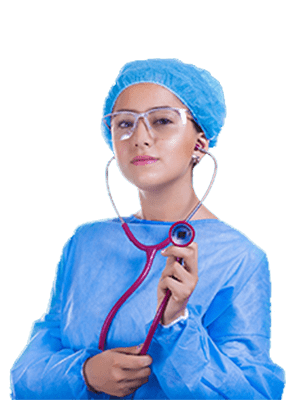 It’s safe and healthy for you to start using a back carrier now. 14 months to 4 years: Even in a walking age you can’t expect that your child will be calmer. Toddlers are very unique from each other; while one may catch your pace on the path, other may roam around or even get stuck by a bullfrog. It’s all about patience with this bunch! 1. Pack the essentials: Whether you hike with two people or hike with a group, it’s always recommended to carry all you need on the trail. However, it may at first start to seem like a baggage, you can do a list. Seat with a pen & paper and write down all the necessities with back up. Now see if you can eliminate some of those. Don’t carry a package that is going to be a burden, but also don’t rob yourself of the opportunity to be tension free during hiking. Here are some of the things that you can keep in mind while making the list: hiking location, the weather, child’s cue tips. 2. Food and water: It’s best to carry breast milk in a cooler when hiking with a baby. But if you want, you can just take a break somewhere serene and breastfeed. While you do, we encourage you to post your breastfeeding photo too. It’s nice to show the world how breastfeeding, a normal, natural thing to do in public, can be enjoyable. Take snacks for your toddler enough amount. We suggest you to carry more protein food than fun food for the child. Energy preservation is a must for hiking. Take plenty of water with you too. 3. Protection: Hiking can expose you to direct sunlight, and even though you can handle some of it, it’s not very conducive to both you and your child. Keep sunscreen for both of you based on your skin sensitivity. Bug repellent is another life saving mini medication we suggest you carry with yourself. 4. Diapers and clothes: Don’t be lazy to pack layers for your child before stepping food outside. Take enough diapers, wipe warmer, wipes and changing pads with enough comfortable extra clothes. 5. Gadgets & gears: Camera, portable charger, charged cell phone, portable router if you feel the need to get online; take gadgets according to your need. For more, do not bail on first aid kit. The importance of antiseptic cream in the woods is unimaginable. 6. How to make it through trail: Now that you have decided to stop cooing with your baby and step outside, you should prepare to march safely. Nature loving is divine as long as you follow some safety tips. 7. Create an itinerary: Decide where you want to go. What are the points you want to or can cross while hiking. Take others suggestions who have been to the place before. An itinerary keeps your head clear. 8. Trail safety: Go to the place by yourself before you bring your child there. Steep drop-offs or hazy cross-roads are good to avoid if you are carrying baby. 9. Comfort yourself first: You can be only as good as comfortable you are when it comes to protecting your child. Seriously, you can’t think of ensuring your child’s safety without putting yourself in it first. Take your medication, vitamins or protein shake, whatever you need for physical stamina. Keeping yourself hydrated throughout the journey is the smart thing to do. Check list your snacks and extra clothing too. Plus, as much as important it is to look good, you certainly want to put appropriate clothing first. 10. Weather awareness: Some places are prone to weather shifts. Be a geek and go through the stats if you need to see the temperature pattern of your trailing location. Caution should not be compromised. Extreme weathers are best prevented. 11. Appropriate baby carrier: Carriers should be safe and comfortable for a baby. 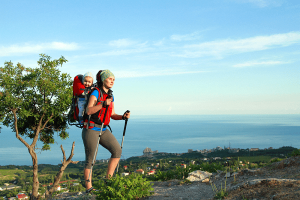 See if the carrier is appropriate according to the size of the child and the duration of the hike. Front carriers are good for young child and a good head support. For older child you can purchase back carriers as these can take the heavy pressure. If you need more tips, converse with other hikers with baby. Experience always comes handy. 12. From youthful adventure to curious exploration: Not to sound rash if I seem to be saying ‘say bye, bye to adventure’, but you really need a vision of how things are going to be for you and your baby hiking. Babies usually slow down your pace. For them, it’s more about exploring nature than hiking miles. Your spending time together in the nature will be one of the fondest memories to your child. Bear with them when they stop some place just to play with dirt or particularly get charmed by any unusual thing. Excursion in nature generally calms people and make them more conscious of their surroundings. What could be a better solution to discipline your child with some fun experience! 13. Go frequently and go together: As you lower your expectations, time to learn to accept bad days. Don’t sit around feeling sorry for yourself, rather make plans to hike frequently. With the elapse of time, everything will start to come out right and easy. More importantly, ride in pack. It can either be your family or your friends. A pack can make your journey more enjoyable, helping and re-affirming with the companionship. 14. Functional childhood: We all know how a good childhood can help you to make a better person in later periods of life. Nature has that powerful impact on your child that makes them more creative and imaginative. The unstructured nature gives an unconditional freedom to explore and to be amused. It makes children more attentive, willing to learn and ask more questions. As a parent you can be your kid’s teacher. Learning to enjoy life, explore and interact with the world is one of the healthiest positive outlook you can pass on to your children. After all, children learn what they see!